Richmond new homes at Coach Homes of Kinloch than in the last three years combined. Luxury maintenance free homes at Kinloch are ideal for empty nesters and are priced from the low-$500,000s. 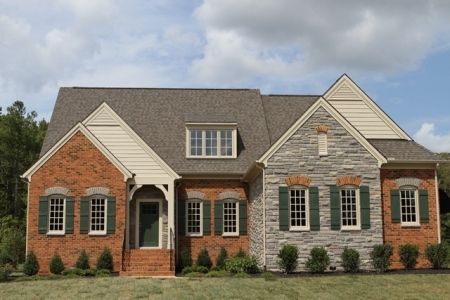 Of the five homes sold at Kinloch this year, four of the homes have featured the popular Creekmore floor plan. Buyers have an opportunity to tour the Creekmore home design with the newly opened furnished model home. Open interiors showcase the best of one-level living with a luxurious owner’s suite showcased on the main floor with the designer kitchen, formal dining room, columned entrance living room, expansive family room and optional sunroom. The second level is perfect for overnight guests featuring a loft and two bedrooms with private bathrooms. Exteriors of maintenance free homes at Kinloch stay beautiful year-round with lawn maintenance, seasonal chemical applications, lawn irrigation, snow removal, annual gutter cleaning and exteriors painting included. Additionally, all homes are built to meet Energy Star standards which help to reduce monthly heating and cooling bills.